Within business it’s inevitable that at some point disagreements occur and both pivotal and minor disputes can arise. If an agreeable resolution cannot be found between the parties themselves, it may be time for commercial mediation to step in. It’s financially effective to seek mediation in order to avoid legal proceedings within a commercial business arrangement. Insight Dispute Resolution aims to retain positive business relationships between parties. Commercial mediation can assist to open the channels of communication and instil an intent to find sustainable resolutions to commercial disputes. By doing so businesses can avoid attending court, avoid paying expensive legal fees, and can find resolutions much faster than a court proceeding could. Where court proceedings may take up much time and eat into busy schedules which prevent parties from focusing on work, mediation is flexible to your time constraints. Commercial mediation is also 100% confidential, your name and business name is not disclosed via public records. Our nationally and internationally accredited commercial mediators can help minimise the tension in your business and give you the tools you need for more effective dispute resolution in future. Business can be a difficult playing field to navigate without family matters and family relationships thrown in to the dynamics. If you are part of a family business, you’ll know just how difficult it can be to merge your work with your family relations in some instances. Family business mediation can help to iron out the issues, open communication between parties, and help everyone see a more neutral view point of the matters at hand so that the business can be run to its full potential. The dynamics involved in family businesses are complicated due to the interpersonal relationships between family members, as well as the business relationships. Sometimes disputes occur or important decisions need to be made within the business and these family and business relationships can become strained. Mediation should be engaged to recognise viewpoints, assess boundaries, and resolve issues. Family business mediation can also help to save the business potential legal costs, keep the flow of the business (and profits) going once a resolution is achieved, and ensure family dynamics stay positive and workable for the future. 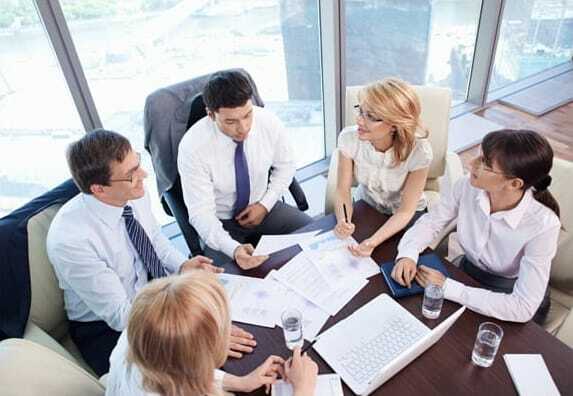 Insight Dispute Resolution family business mediators can help your family business grow and your family dynamics remain cohesive. Our nationally and internationally accredited family business mediators can help minimise the tension in your business and give you the tools you need for more effective dispute resolution in future.